Host Garret Zehr guides us through three main topics, all of which force a reconsideration of the present legal structure in place. In order: 1) the Quebec Student Movement and the legal struggles of CLASSE and other activists in the courts – J-P MacKay speaks with Me Sibel Ataogul; 2) Adelle Blackett offers an evaluation of the legal framework of labour law, especially as it applies to workers from the global south and in relation to domestic workers; and 3) Me Étienne Poitras sur la sujet des mouvements sociales et les droits de manifestants. “Sometimes law precipitates social change, sometimes its the other way around.” This month Garrett Zehr hosts a fine assortment of pieces: discrimination and the law, Insite and its impact across Canada, as well as an opening segment by Stephany Laperriere on law and social movements. 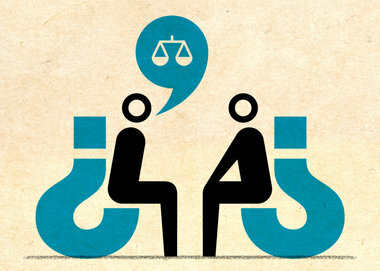 What are the contradictions and strengths of legal decisions and social change? LegalEase investigates. The Medium is the message. Yes. This month LegalEase ‘instant messages’ the medium – in addressing the stale form of legal instruction and thought as well as the burgeoning role of social media in revolutionary struggle. Has the social media primary functioned as a catalyst for rebellion or mechanism for repression? First, LegalEase delves into the ever-evolving topic of social Media and revolution. Specifically, we hear from a panel: Professor Payam Akhavan, McGill University Faculty of Law, on social media under Totalitarian regimes, Assistant Professor Julian Awwad, Concordia University, Department of Communication Studies, and recent McGill Law grad and Grotius Scholar Kirk Shannon. LegalEase on 90.3 FM is a radio program broadcast every second Friday of the month at 11am EST from Montréal, Québec. Originally founded by the McGill Legal Information Clinic in 1989, LegalEase is now run by a collective of progressive of law students from McGill University. Our weekly radio show deals with legal topics of interest to the community, with the intention of making the law both accessible and engaging. Tune into our show, follow us on Twitter @LegalEaseCkut, email legalease[at]ckut.ca or check our podcast library for past programming. Welcome et bienvenue to LegalEase: a monthly Montreal-based and produced radio show on 90.3 FM CKUT. We broadcast law broadly. Le collectif LegalEase est un group des etudiants et etudiantes en droit de la communaute montrealaise. This month’s program is entitled, “Executive Actions.” Listen by clicking here. First, Mae Nam presents a piece on the upcoming international convention on Domestic Workers. Lindsay Cheong, intern at the International Labour Organization in Geneva, Switzerland sits down with LegalEase for an interview. Note: since this interview, LegalEase has learned the convention was adopted. More information is available if you click on the ILO image to your left. Second, we feature a lecture by Kent Roach and Evan Fox-Decent recorded at McGill in Winter 2011 entitled, ” How Far Can the Charter Go? 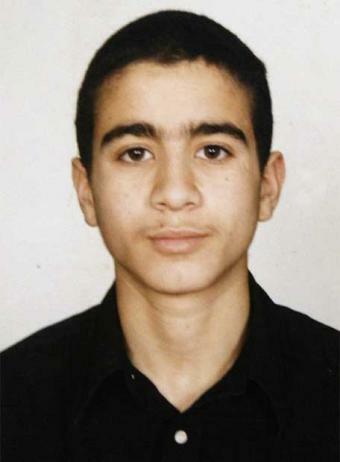 Omar Khadr, the Royal Prerogative and the Supreme Court of Canada.” LegalEase breaks down some of the legal jargon from this dense, yet prescient presentation. Welcome to LegalEase – a Montreal-based, produced and broadcast radio show concerning “The Law”. This month’s episode is entitled: The Legitimatrix. True to content, Professor Richard Sherwin’s lecture carries the same name. He gave the annual Beatty lecture in 2010 – it was entitled: LEGITIMATRIX: LAW, ETHICS AND THE DIGITAL NEO-BAROQUE. How are new visual technologies are transforming the practice and theory of law? This raises new questions, such as: What authorizes visual meaning as a matter of law? LegalEase sat down with the Professor and picked his brain. Daniel Mayer continues his four part series on ‘French Canadian identity outside Quebec’, focusing his second installment on the cultural and political development of Franco-Ontarien identity in the 20th Century. LegalEase catches up with Nafay Choudhury to learn about the recent Omar Khadr decision from the Supreme Court of Canada. Choudhry attended the pleadings in 2009 for the case and has valuable insights to share.